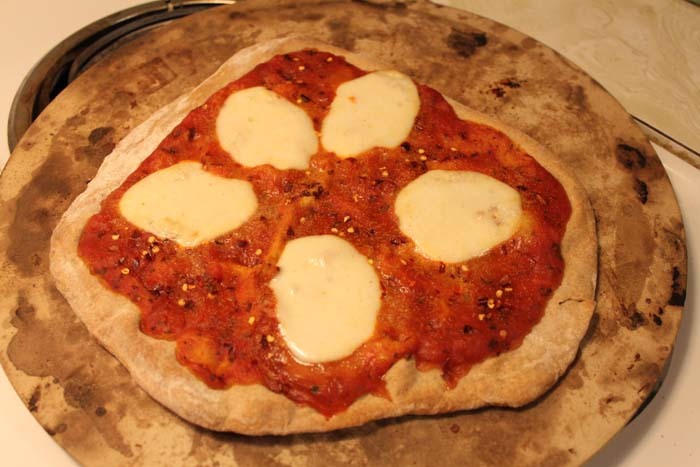 My go to pizza dough recipes all yield so much dough, enough for three or so pizzas. It’s a long weekend so I didn’t want to make an enormous batch and have the rest sitting in the fridge for three days. So I set to the internet to find a single serving recipe. I must be daft not going to Smitten Kitchen to check first because there she was, a few recipes down on my Google search. Of course she’d have an individual pizza dough recipe. 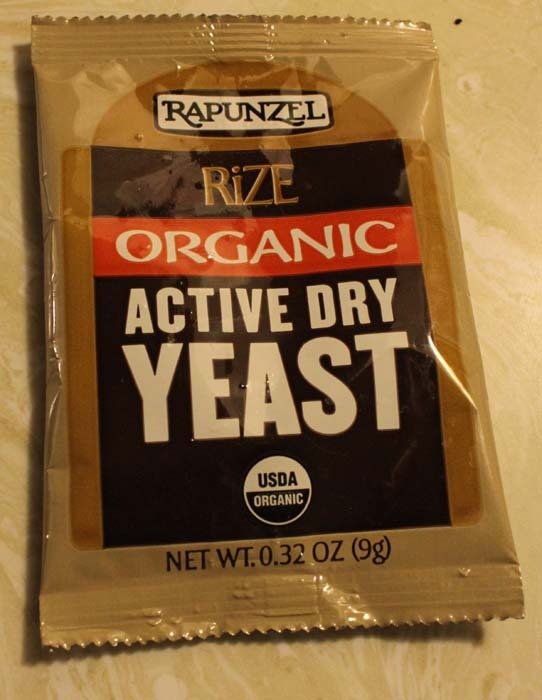 I also had some active dry yeast packets I’ve been meaning to use before they expire so this worked out nicely. 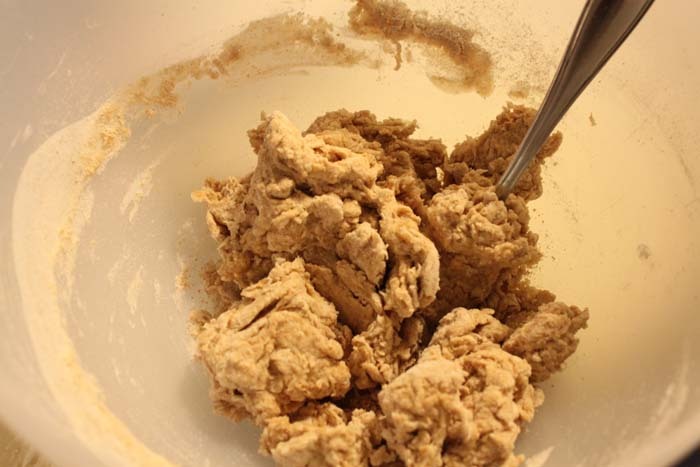 The dough itself is super simple to make. 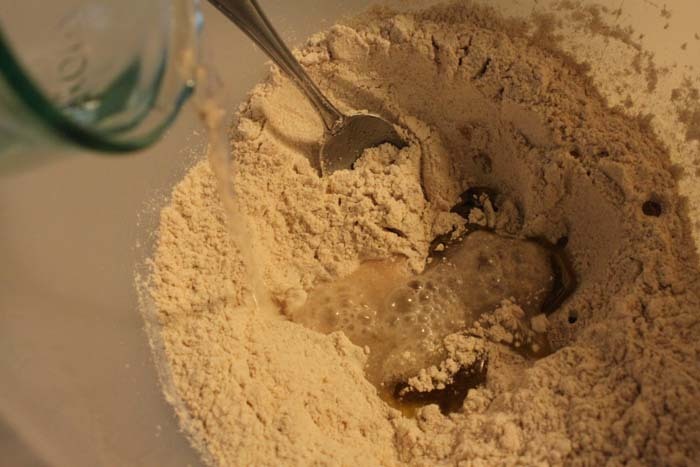 You mix the yeast, flour, salt, water, and olive oil all in one bowl (see SK’s recipe for quantities). 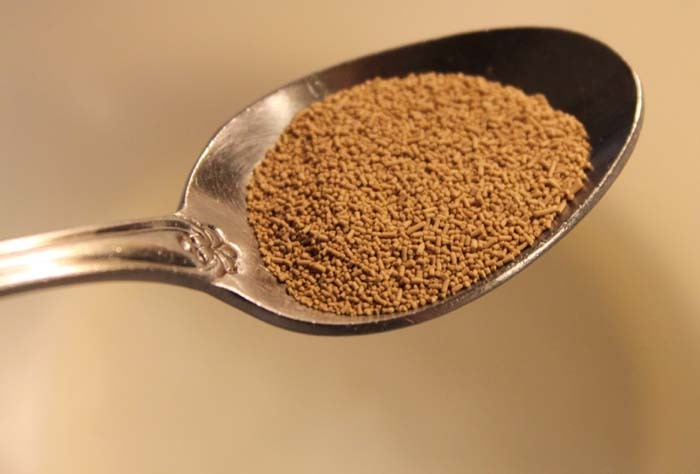 As you can see here I mixed with a spoon until it was mostly uniform. 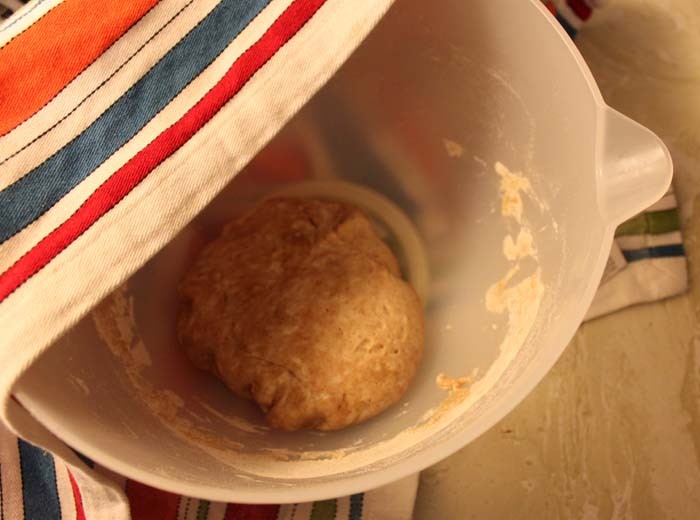 At that point you can knead with your hands for a few turns, form into a ball, and cover with a towel for a few hours. It didn’t rise a ton and I was okay with that. 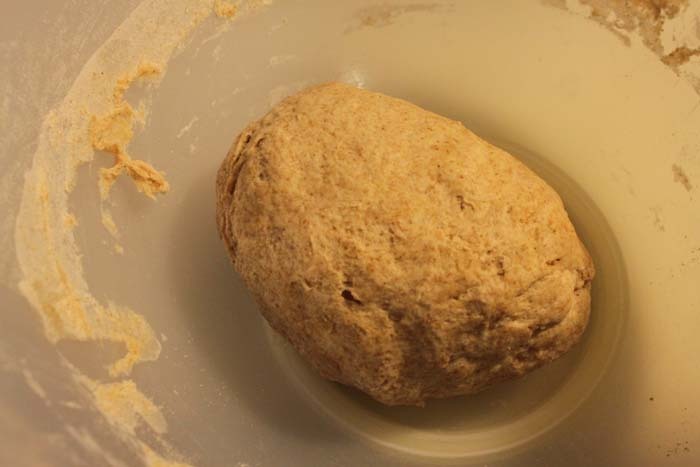 I think it was a combo of the yeast being close to expiration, the quantity of dough, and only giving it an hour to rise. Dough stretched out on the hot pizza stone and finished pie! 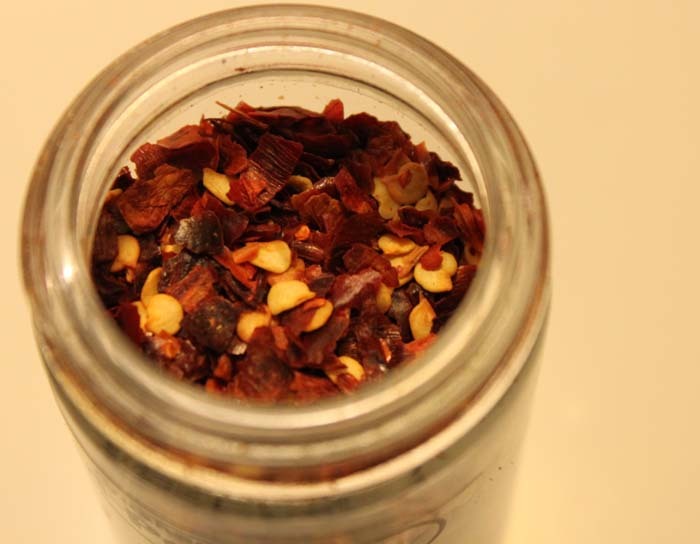 My absolute favorite must-have pizza topping: red pepper flake. Piping hot, crispy, totally delicious. This recipe was exactly what I was hoping for. 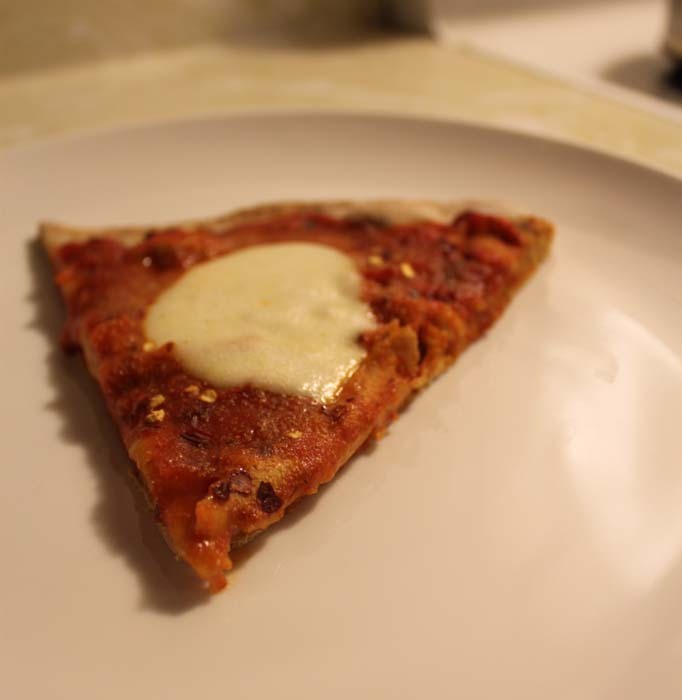 A perfect single serving of pizza dough that came out crispy, hearty, flavorful, and sturdy. * You could very easily turn this recipe into rolls or any other side serving of bread with any dinner. * You absolutely must use a pizzas stone to cook the dough. Even when I make rolls or a loaf of some kind I always use the stone to get that amazing color and crust. 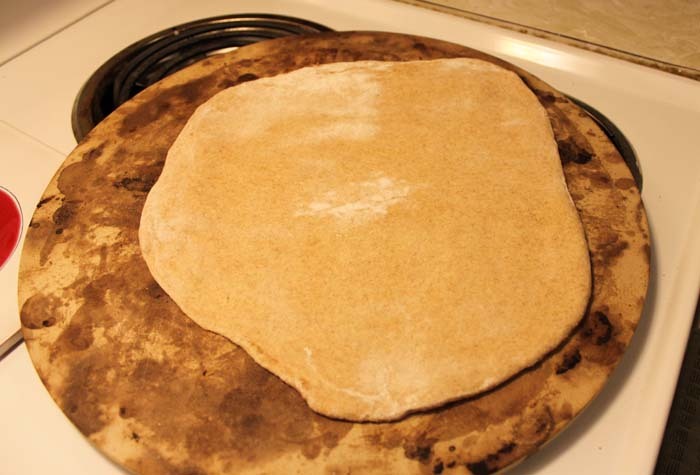 * Another tip I love from my favorite bread recipe book, Artisan Bread in Five Minutes A Day, is to bake your dough on a pizza stone on one rack and then leave a shallow pan of water on a second rack in your oven. The steam from the water is supposed to ensure a crispy crust on the outside and a pillowy soft inside. Next Labor Day Weekend Redux!